The Indian rupee traded higher versus the US dollar today following yesterday’s unexpected interest rate cut by the Reserve Bank of India. 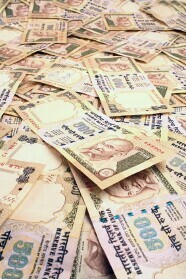 USD/INR fell 0.2% to $71.3125 as of 12:46 GMT today. If you have any questions, comments, or opinions regarding the Indian Rupee, feel free to post them using the commentary form below.